Cuba’s political allies have joined tens of thousands of people in central Havana to honour the country’s late revolutionary leader Fidel Castro. Along with left-wing Latin American heads-of-state there were representatives from further afield including Greek premier Alexis Tsipras. Meanwhile, Zimbabwean President Robert Mugabe thanked the help given by Castro to his country and the peoples of Africa. Venezuelan President Nicolas Maduro talked of the spread of socialism across south America and the spirit of independence. Together he said Cuba and its neighbours must keep faith with what was begun by the likes of Fidel Castro and Venezuela’s Hugo Chavez. 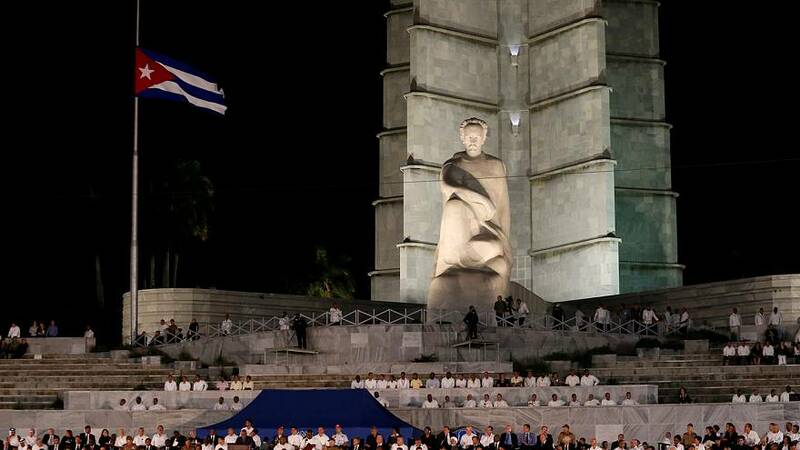 A caravan carrying Castro’s ashes will depart Havana on Wednesday en route to the eastern city of Santiago de Cuba, his final resting place, in a reversal of the journey he took with the rebel army that overthrew Fulgencio Batista in 1959.